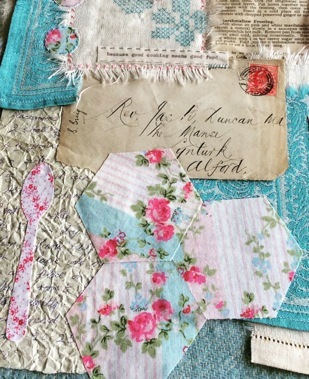 Perfect for all lovers of “vintage”, for those with fond childhood memories of licking cake mixture out of the mixing bowl and the smell of home baking! 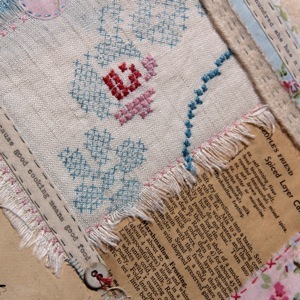 This is a lovely day of nostalgia, stories and relaxed “slow stitching”. 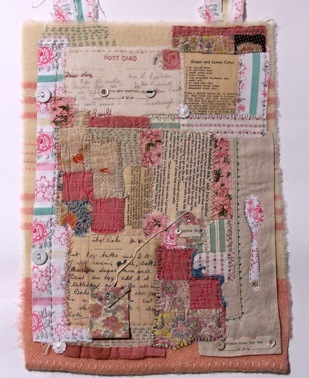 Using an old woollen blanket as a ground you will piece together a patched background from old and used fabrics & papers. 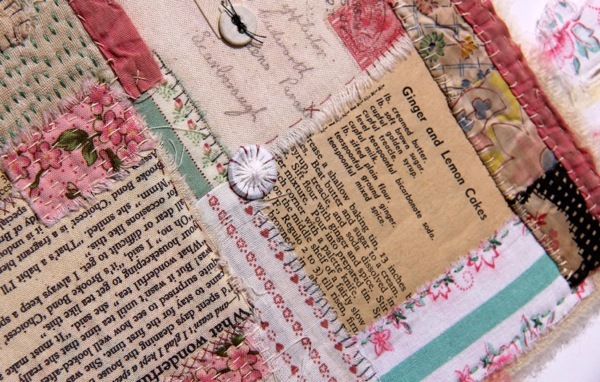 You can choose from a fabulous selection of vintage materials from my studio such as – old table linens, 1940’s floral fabrics, adverts from vintage magazines and fabrics printed with handwritten recipes and text from 1950s magazines. 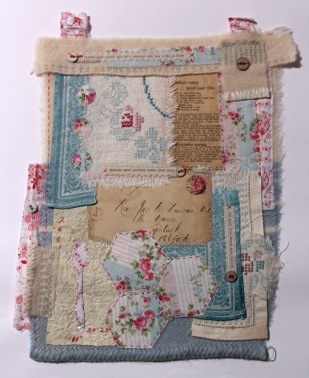 You’ll add further decoration with vintage haberdashery and perhaps some applique and then start the lovely process of slow hand-stitching. 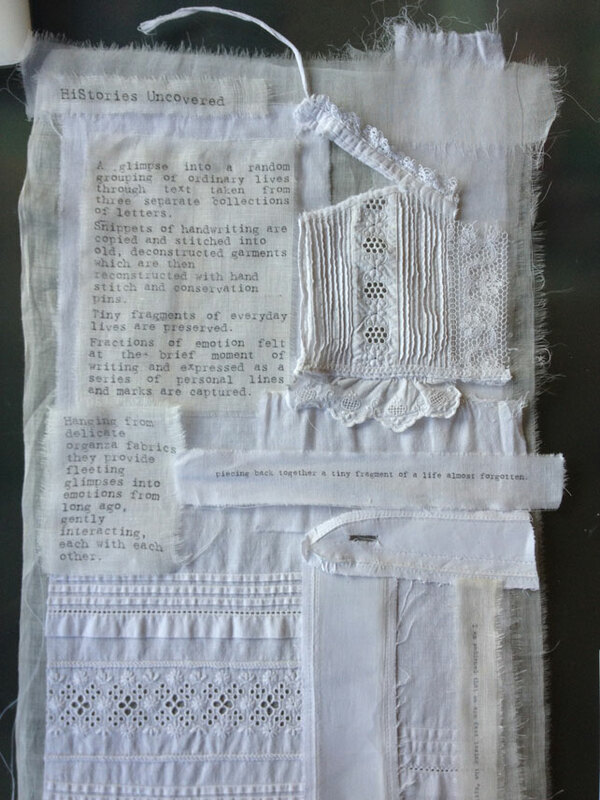 You can also stitch a small piece of text to bring your own story to the piece. 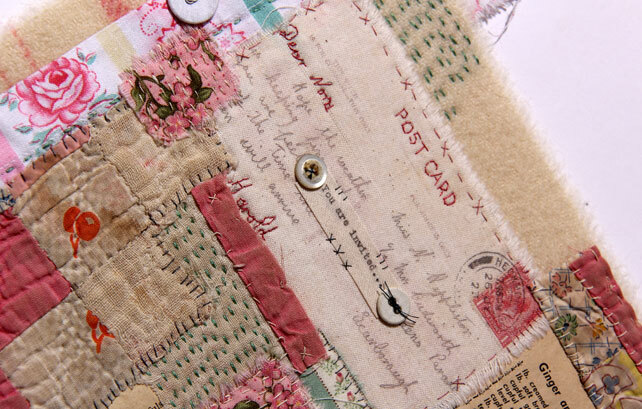 You don’t need to be an experienced stitcher – running stitch and cross-stitch are all you really need but you can be more adventurous if you wish.